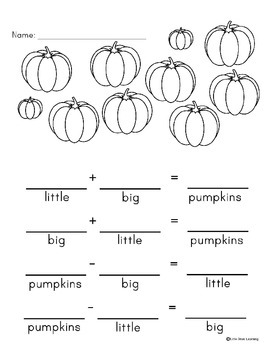 This collection of worksheets has the children color and count the pumpkins working the fact families of 10. The pages can be laminated and used in a math center. Works the sight words big, little, green and orange. Includes 7 worksheets, 1 instructions page, 1 information page.